Weight loss is not an exact science, bit it is a complex and imperfect process that requires time, patience, and having the correct information about food consumption. More than a third of American adults (78.6 million people), and just about a fifth of children between 2 and 19 years old (12.7 million), are overweight or obese, according to the Journal of American Medicine. Many are trying to do something about it. The weight loss industry is a $20 million business. People are invaded with ads about what kind of diets “work” as soon as they wake up. Yogurt and milk have a mixed reputation when it comes to how healthy they are. Many nutritionists say that, when it comes to shedding pounds, they should be avoided. “Dairy products are highly acidic and they need to be avoided,” Dr. Daryl Gioffre, Founder of Alkamind and celebrity nutritionist, says. Anytime something acidic is introduced into your body, it has a buffer system to help neutralize those acids. One of those primary buffers is fat, he adds. “Your body would rather hold onto fat, encapsulating the acid or toxin, in order to protect the body from being harmed or damaged.” It is a self-protective mechanism designed to keep you healthy, in the short run. In the long run, it makes you heavier and more toxic, Dr. Gioffre says. Like fruit juices, milk is homogenized and pasteurized, killing most of the nutrients right along with any bad bacteria. “You flat out don’t need it,” he says. And if you think calcium is a good reason to drink milk, you may want to reconsider. Despite what we were all led to believe, milk leaches calcium from your bones, not the other way around, Dr. Gioffre says. After 12 years of study, Harvard researchers noted a correlation between dairy consumption and increased hip fractures in women. 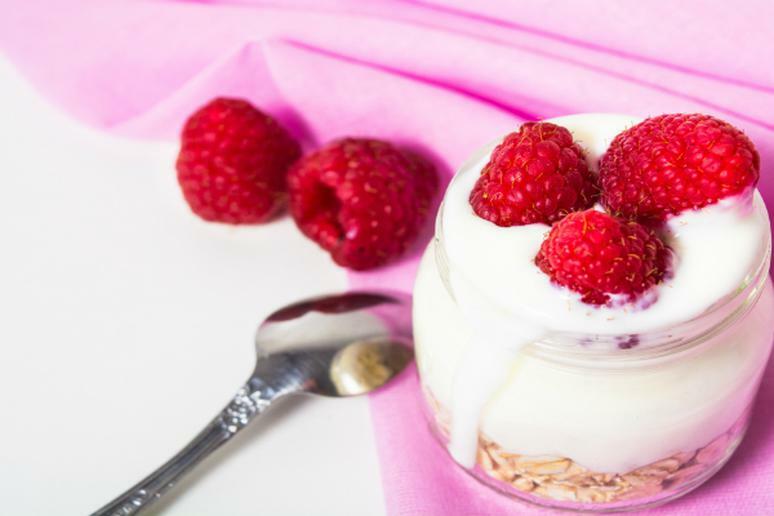 While yogurt is a good source of probiotics, most, if not all, are loaded with sugar, artificial sweeteners, harmful fillers, and yeast which are “three things you need to avoid like the plague,” Dr. Gioffre adds. They are all very congestive to your digestive system, and because of their acidic nature, your body will hold onto fat to neutralize the acid they produce in your body. Some of you may think that having fat-free or low-fat yogurt or milk is acceptable. Again, they “never” are if you are trying to lose weight, Dr. Gioffre says. Something everyone needs to know about ‘fat free’ anything is that it doesn’t work. “People were obsessed with fat-free over the last 50-60 years for weight loss,” he adds. “If you want to find out why everything has been fat free for so long, you have to trace it back to 1967, when three Harvard scientists were each paid the equivalent of $50,000 in today’s dollars to publish a review on sugar, fat, and heart disease.” The studies were handpicked by the sugar industry which minimized the link between sugar and chronic disease, while fully placing the blame on fat, specifically saturated fat, Dr. Gioffre adds. Ever since then, the market has been flooded with fat-free products left and right. They replaced the fat with massive amounts of sugar, high fructose corn syrup (the worst form of sugar which directly goes to the liver where it is immediately turned to fat), and artificial sweeteners, all of which are acidic and very dangerous to your health, Dr. Gioffre says. They also spike insulin levels in the body, packing more pounds on; even worse, they cause higher occurrence of chronic disease like cancer, heart disease, diabetes, and obesity. When you eat more healthy fats and avoid the bad ones, you will decrease inflammation and acidity in your body, and not only help balance your body’s pH, but also balance one of the most important ratios in your body, the Omega 3:6 ratio which should be ideally 1:1, Dr. Gioffre says. The average American is 1:25, respectively.